With a history in the surf community that encompasses his entire life, Matson, a surfer since his own grommet days at the Huntington Beach Pier, surfed on the HBHS Surf Team and has worked for top clothing manufacturers Billabong and Hurley. He then branched off to start up his first entrepreneurial startup – The Huntington Beach Pro/Am Surf Series. Matson sat in as the Vice Chair of the Huntington Beach Surfrider Foundation in 2011 and also served on the Board of Directors for Dave Rastovich's non-profit foundation Surfers for Cetaceans. He was the Associate Producer on the Award Winning Activist Documentary, Minds in the Water and recently the Co-Producer of The Documentary The TransparenSea Voyage Film. Seth currently owns and operates his local Graphic Design company in Huntington Beach, Matson Graphics. Inspired by running local beach cleanups in Huntington Beach, Seth began the process of creating Drains to Ocean in 2010 which focussed more on litter coming from the streets and rivers throughout LA and Orange County. He succesfully formed the official 501-(c)(3) for Drains to Ocean in 2015. Former World Championship Tour competitor, Action Sports Sales and Marketing manager and owner of the HB Pro/Am Surf Series. 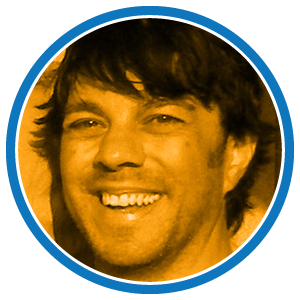 Jeff is currently the Territory Manager for Global Surf Industries. Jeff has had an extensive background in competitive surfing. He's one of America’s most decorated professionals in surfing history, and still maintains a high level profile in the competitive community. Jeff is one of only three surfers in the long history of legendary Huntington Beach surfers to make it to the ASP World Tour (Timmy Reyes and Brett Simpson are the 2nd & 3rd surfers). Jeff was the HB Surfrider Foundation Ambassador in 2011/2012. Manuel Florence – Local environmentalist with a passion for our ocean, beaches and animals. Manuel has served on the Board of Directors for the Boys and Girls Club of America, serving as the Vice President and President. Projects during his terms include raising over $50K and after school programs for teens in need. Manuel is currently the Blue Water Task Force (BWTF) Chairman for the Surfrider Foundation, Huntington/Seal Beach Chapter and has served as a core volunteer since 2007. The BWTF is planning for the second Water Testing Lab in Huntington Beach. Manuel is also a professional brewer, single Father, and dog partner. Ashley is a local Huntington Beach resident/environmentalist with a passion for our oceans. She has served on the Board of Directors for the Huntington Beach Surfrider Foundation as Secretary and many other local non-profits in Orange County. Her professional objectives are to contribute positively to the world by impacting the education of adults and young people. Multicultural Education, Bilingual Education, Cross-Cultural Exchange Education and Education through Tourism are the fields that interest me the most. I feel that one learns by doing, which makes project-based and inquiry-based education the most interesting and powerful to me; and tend to be what I focus on most. A HB native, Samantha (aka Sami) grew up at the ocean since childhood and attended HBHS / the Academy of the Performing Arts (APA). She participated in multiple community theaters throughout the Southern California area and was awarded multiple times for her leadership efforts in the arts. She then moved to North Carolina for college in search for new areas of study and went on to complete her B.A. in Sociology. After graduating from Elon University, Biardi worked for multiple award-winning theatre touring companies such as DPAC (Durham Performing Arts Center), The Washington Ballet, and The National Theatre in DC. HB Local with a passion for our ocean, beaches, and animals. Zoe is in middle school and currently the Secretary for Lions Heart, a youth social philanthropy club. Zoe has been a Surfrider Foundation volunteer, helping people check-in and recording trash weight at local Beach Cleanups, as well as speaking to City Council multiple times advocating the ban of Styrofoam and one time use Plastic Bags for many years. Zoe is a Jr Lifeguard during the summer (since 2013), an athlete on Soccer and Track teams during the school year, as well as a Soccer player for the CDA Slammers FC team year round. Raised in the sands of Huntington Beach, Scott Mirtle was enthralled with the growing surf culture. A life long Surfer, he graduated from HBHS where he was a member of the surf club. He then attended Golden West Community College, where as a member of the Club Latino, his curiosity quickly grew beyond his borders. So, he traveled far south to live in Costa Rica where he found pristine beaches and his beautiful wife Hazel. After a few years abroad they returned to Huntington Beach to start and raise their family. Scott has since spent his years working in different aspects of the construction industry, currently as a Customer Service Rep for a nationally recognized home builder. Scott spent 5 plus years as the Head Announcer and Voice for a National Radio & TV Commercials for the HB Pro/Am Surf Series, sponsored by Del Taco. A self-proclaimed DIY guy, Scott’s always up for the task of trying to fix and improve things. Scott also served on the art committee for the Surfboards on Parade in 2014. Now, with the inspiration of his childhood friend, Seth Matson, Scott will now take on his biggest task yet, helping with cleaning our streets in order to Protect the Ocean.